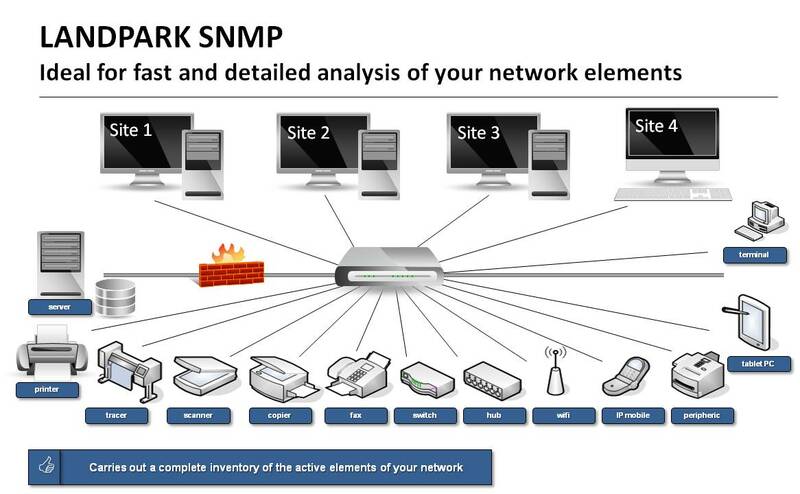 Discover rapidly your network and get a real‐time view of your critical SNMP‐enabled network devices. Quickly find and manage the exact configuration of your network elements. Result files are analyzed exhaustively to produce an accurate summary of the devices that were detected: printers, routers, hubs, switches, servers, etc. Quickly find and manage the exact configuration of your network elements by searching through an IP address range and visualize the results immediately before importing the information into your asset management software (Landpark Manager). 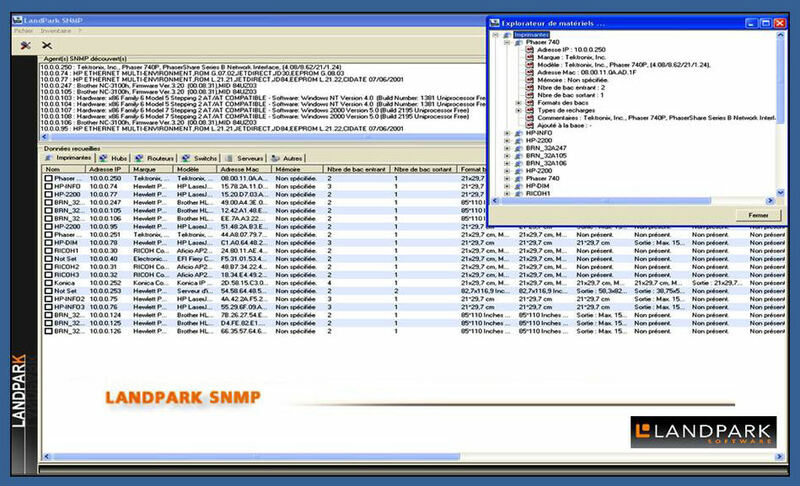 When imported into your Landpark Manager, results can be classified as network elements or non-IT assets. Use our treeview-based asset explorer to display detailed information. Our easily configurable interface allows you to export results to Excel or Txt formats for easier processing of your inventory items.